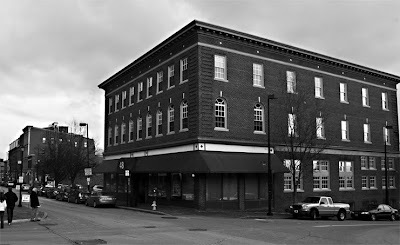 For this installment of Before & After, here is the building at the corner of Free and Center Streets which used to be a home furnishings store. This photo is from 1938 and comes from MaineMemory.net. If I knew I was going to use this for a before and after post I would have lined this up better but you get the idea. The building is pretty much identical in appearance and has been offices for quite some time. This is the building that has the blueprint mural on the side of it (The Phoenix has a picture here). 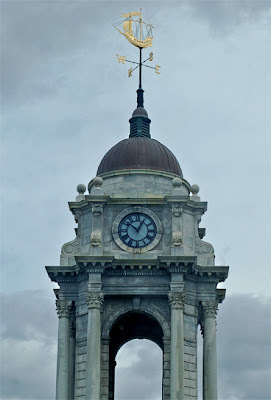 And to answer yesterday's question, that was indeed the weather vane at the top of City Hall. I was expecting more comments, but good work Kate from Blueberry Files!